Our award will be for the longest lasting mammal without water. 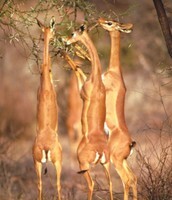 The Gerenuk's can last a whole life time without getting water, because the liquid they need is in the food they eat. Which explains why they live in dry territories. What group of organisms (phylum) does it belong? 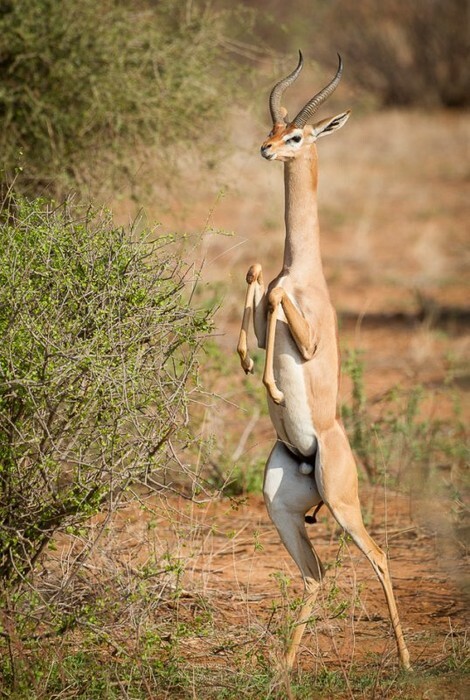 The Gerenuk belongs in the phylum of the CHORDATA. Where does it live and what is the habitat like? 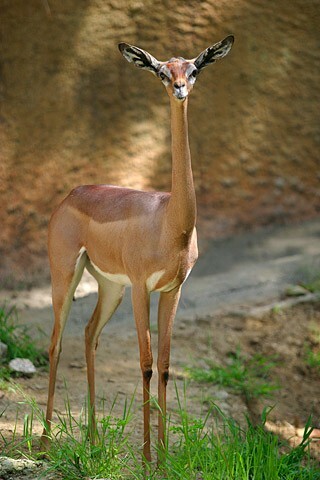 Gerenuks are usually found in types of woody vegetation, mostly dry such as the dessert. It avoids dense woodlands, and very open habitats. 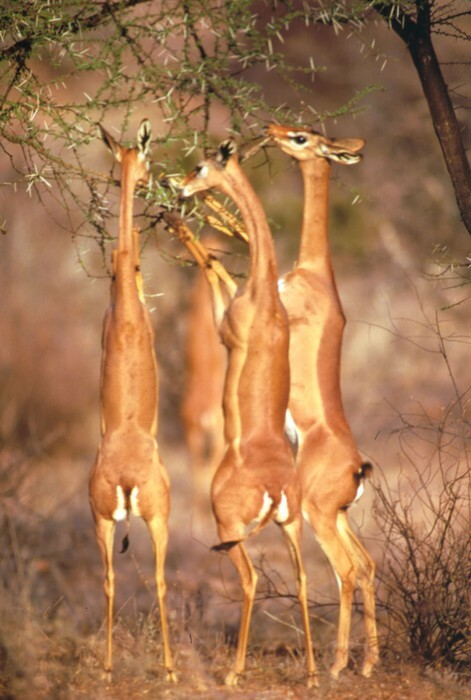 Gerenuks eat more tender leaves and shoots, but will also eat buds, flowers, fruit, and herbaceous plants. It does not seem like Gerenuks drink water but, they get enough water from the plants they eat. 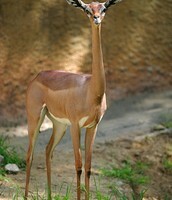 Gerenuk's are near threatened, because of the antelope's existence. 95 thousand still remain across 4 different countries. -To eat off trees they stand on their hind legs. - They have big ears to hear sounds of the predators approaching. 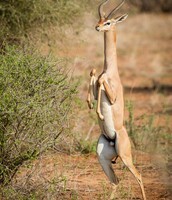 -They make a buzzing sounds with it's mouth to warn other Gerenuk's in a situation of danger.